So, what is Hydromulch? Hydromulch, or sometimes referred to as hydraulic mulching seeding, hydroseeding or hydraseeding is a process consisting of a fertilizer, grass seed, dye, wood, paper mulch and water mixture. This mixture, called “slurry” is sprayed over the ground to provide exceptional erosion control and thick beautiful lawns in just a few short weeks. 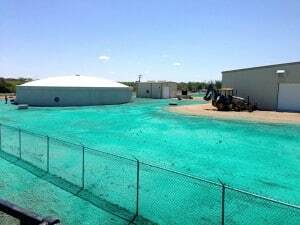 There are many reasons to use Hydroseeding services, but the primary reason people choose this method is simply because it works. Hydroseeding is the most cost-effective planting method for a majority of commercial and public projects. Such projects can include ballparks, golf courses and playgrounds for example – all of which are able to withstand the expected wear and tear. We specialize in projects that are in high traffic areas with heavy use requirements and are able to complete the project on time and on within budget. 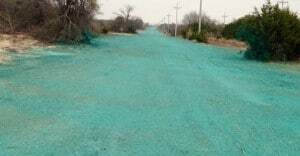 Reed Hydromulching Inc. is well-equipped and qualified to provide multi-state hydroseeding services. We deliver exceptional results for our clients by using advanced equipment at competitive prices for residents and businesses across Texas. Did You Know? If you own a very large piece of land, you’ll see a lower Hydromulching price than using other traditional forms of planting. Reed Hydromulch customizes each job to fit with your property’s needs. We’ll take a look at your property and discuss some of the particulars of your situation before we plan Hydromulching or drill seeding. If you own property and are wanting to enhance the quality of your land, call us today at (817) 929-5771! Contact Reed Hydromulching Inc. for a fast quick quote for Hydromulch today!